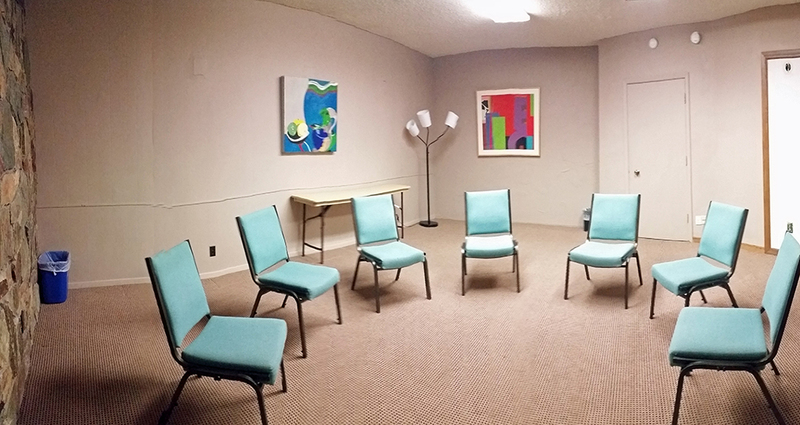 A venue that takes care of all your group’s needs … a space to gather, explore, rest and renew. 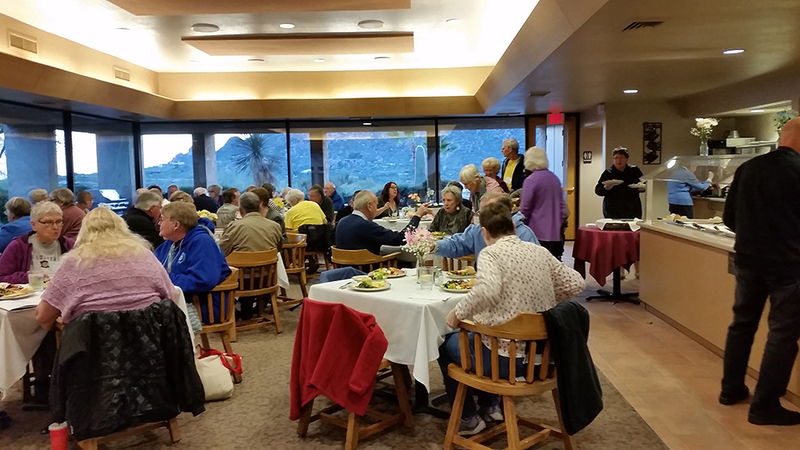 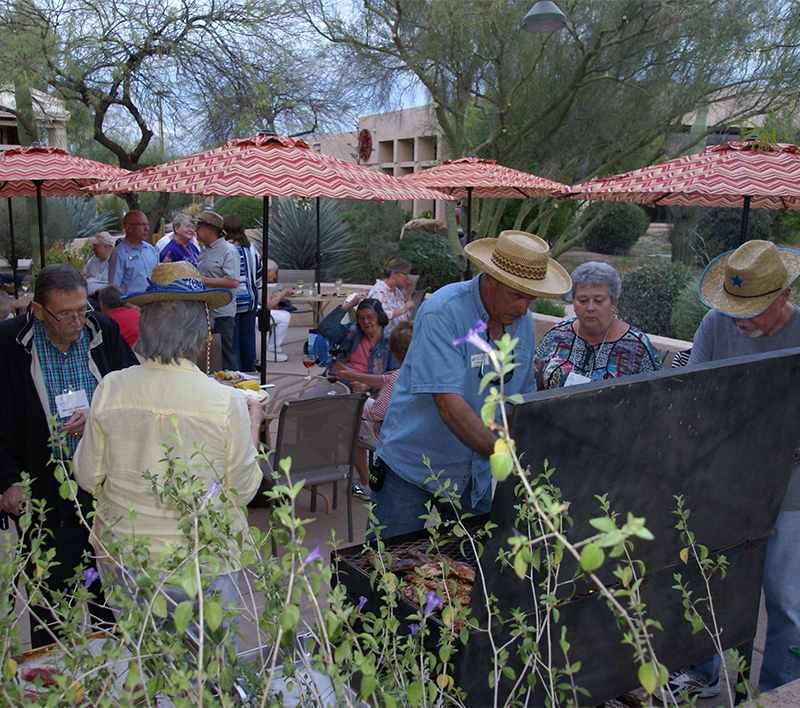 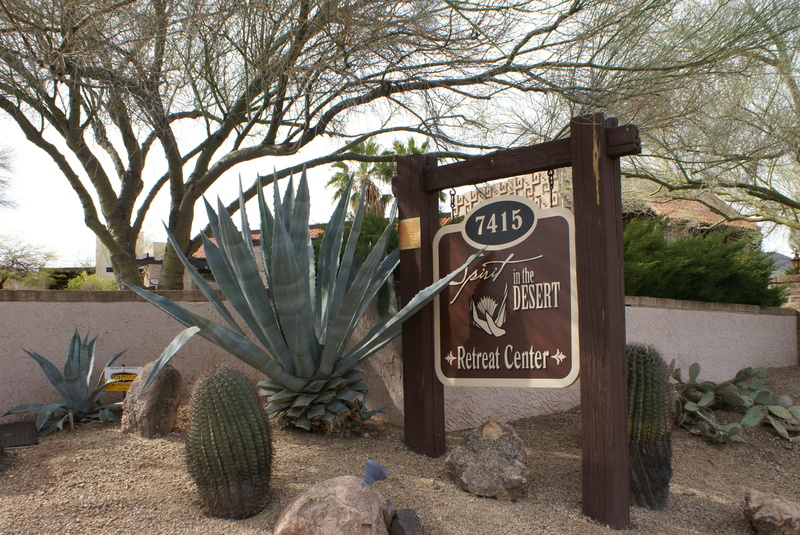 Our guests feel peacefully at home at Spirit in the Desert Retreat Center nestled in the Sonoran desert. 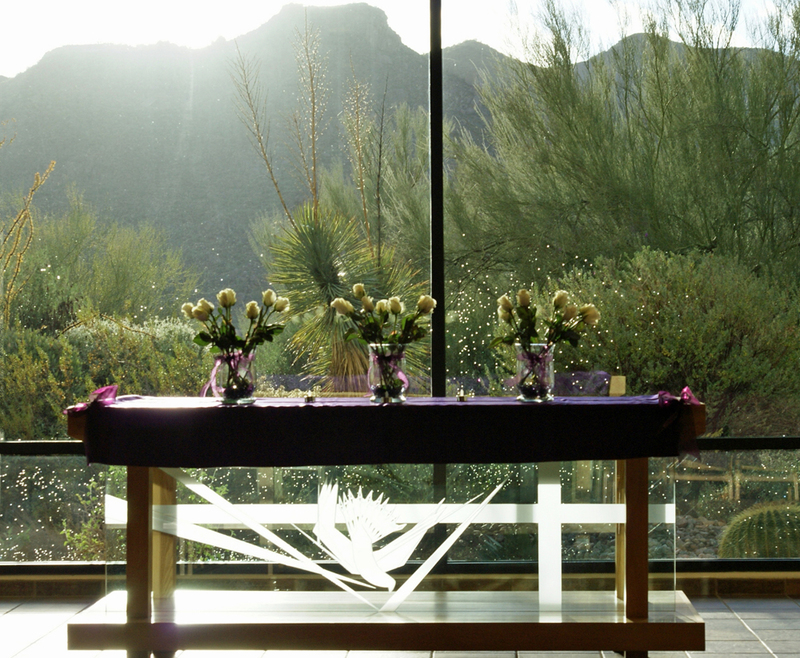 The meeting, dining, sleeping, and worship facilities of Spirit in the Desert are gently placed on nine acres of Sonoran Desert. 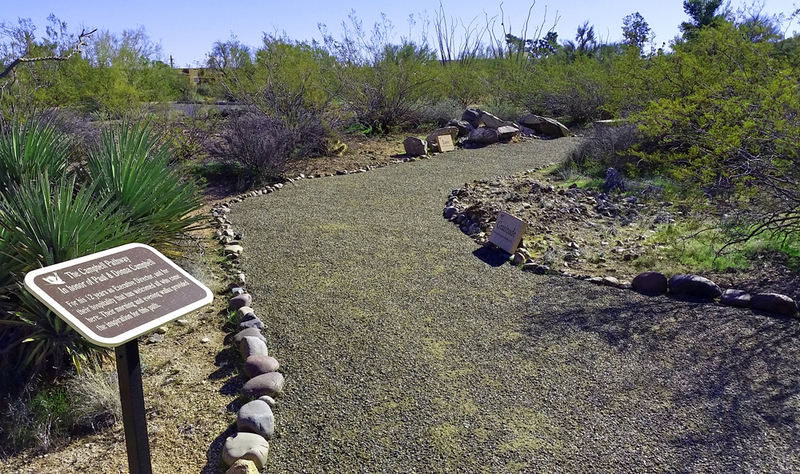 The campus is lush with plants, bushes, flowers, rocks, and Cacti unique to the Southwest. 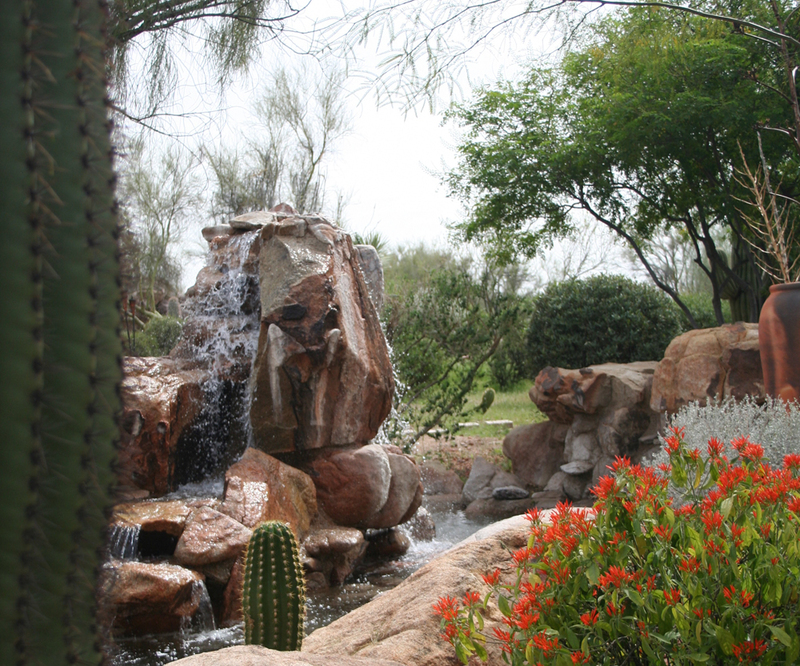 Natural rock water fountains add refreshing and soothing sounds as guests walk inspiring meditation pathways. 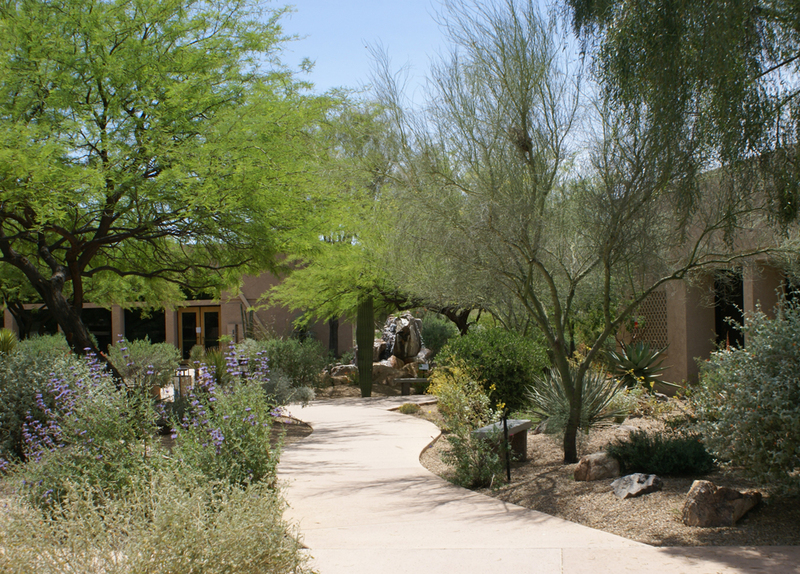 Our conscientious landscapers maintain the natural environment of this outdoor cathedral, a place for meeting the Divine Spirit. 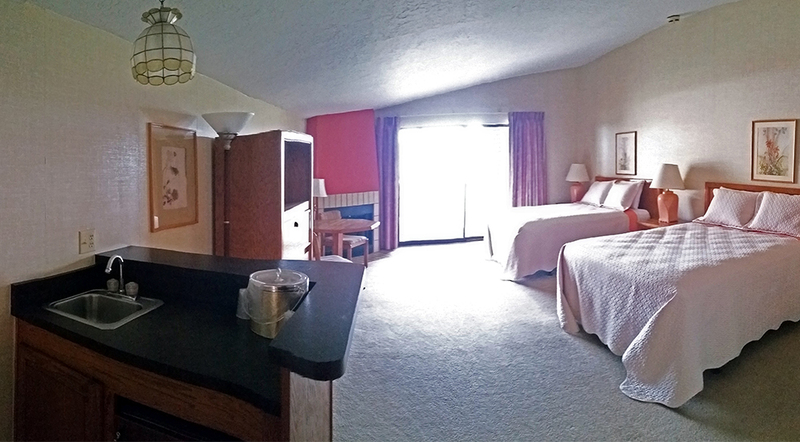 Spacious lodging for more than 50 guests. 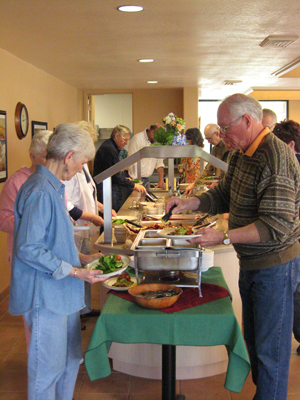 Onsite dining for up to 75 guests. 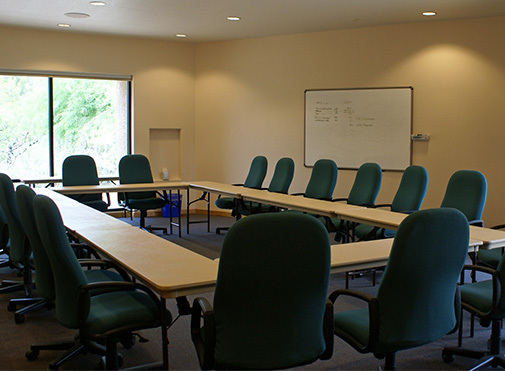 Seven indoor meeting spaces suitable for groups sizes from 5 to 90 equipped with WiFi and AV equipment. 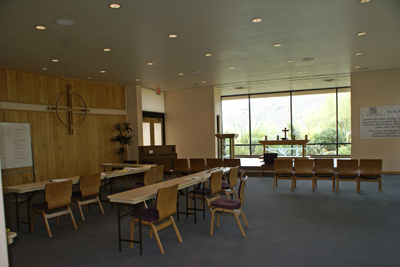 Additional small group indoor and outdoor gathering spaces. 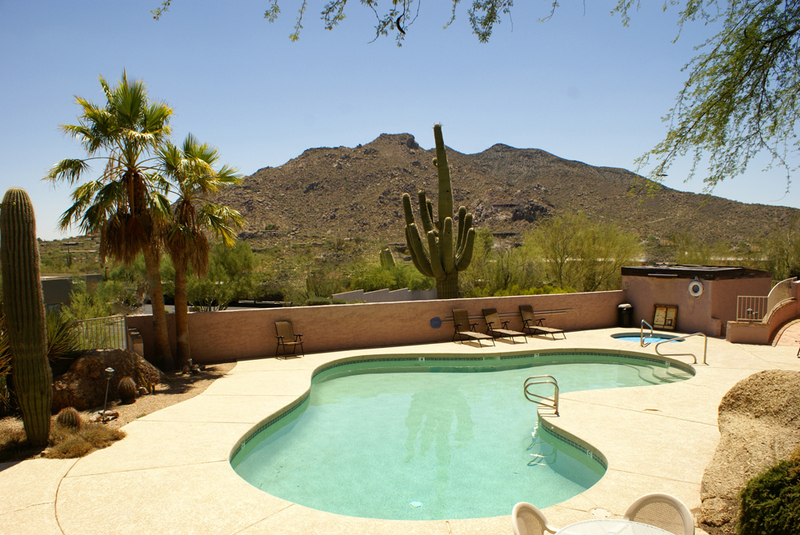 Heated swimming pool and spa. 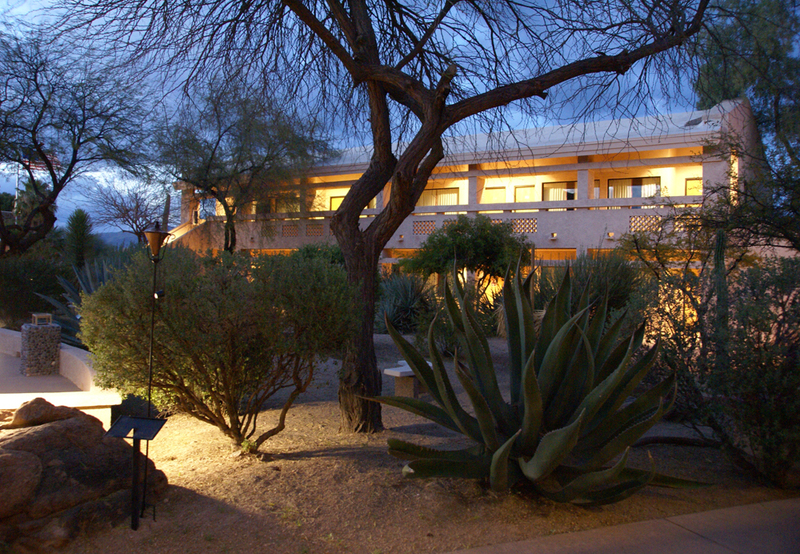 Wifi access throughout the campus. 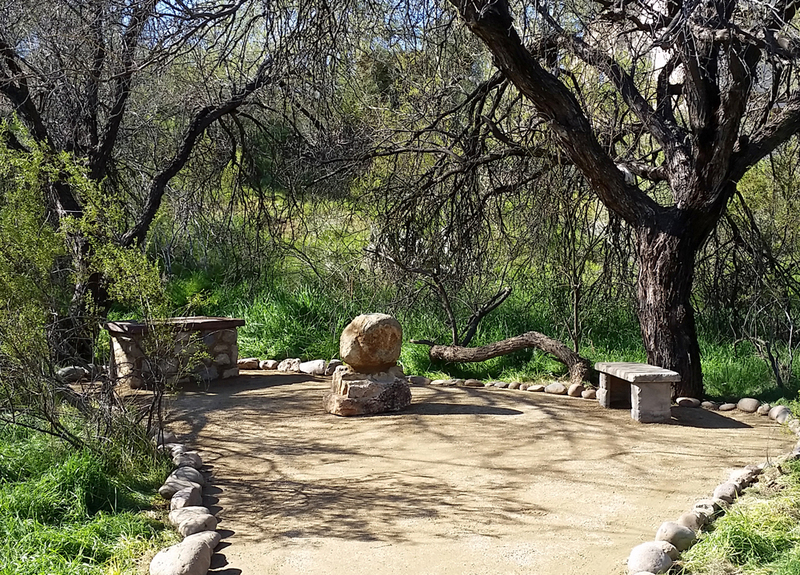 Serene spaces for prayer, meditation and reflection. 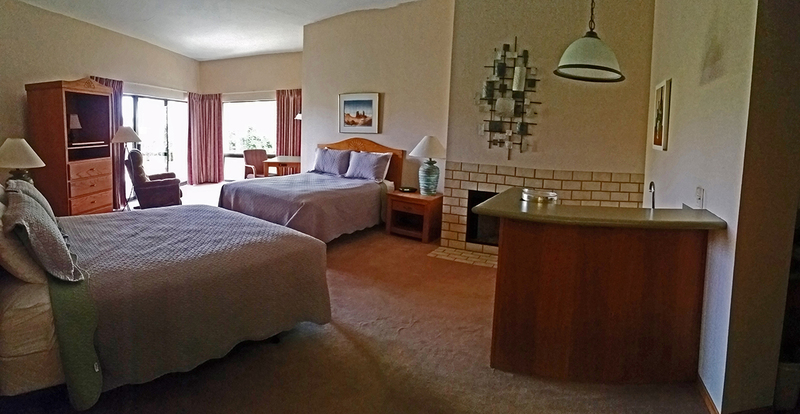 Click on any image to view a full screen slide show. 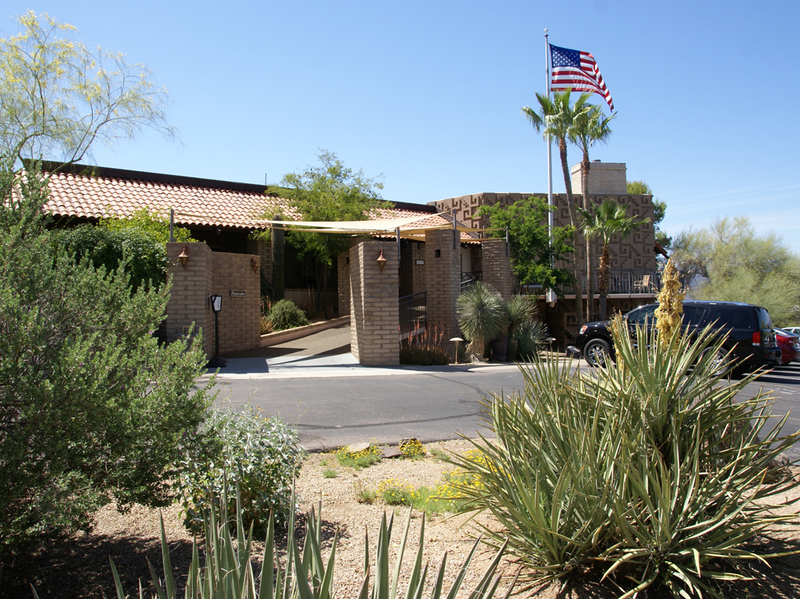 Spirit in the Desert accommodations include well-appointed guest rooms with comfortable beds, in-room bathrooms and luxurious outdoor balconies. 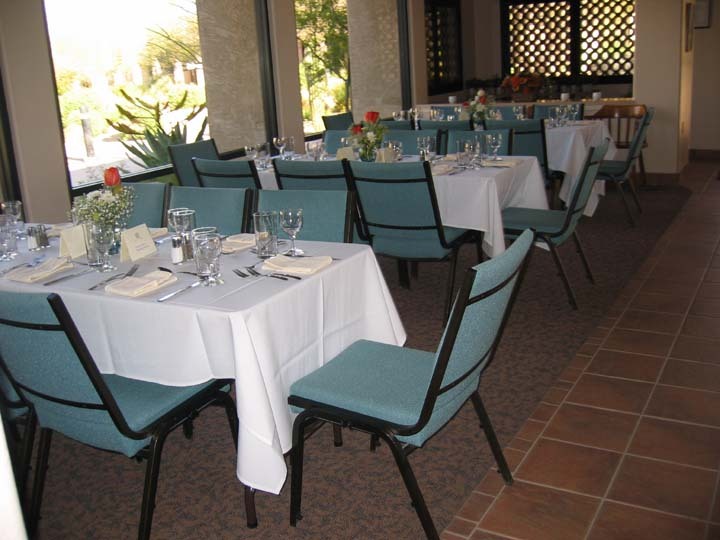 Spirit in the Desert boasts a bright and spacious dining room with seating for up to 75 guests. 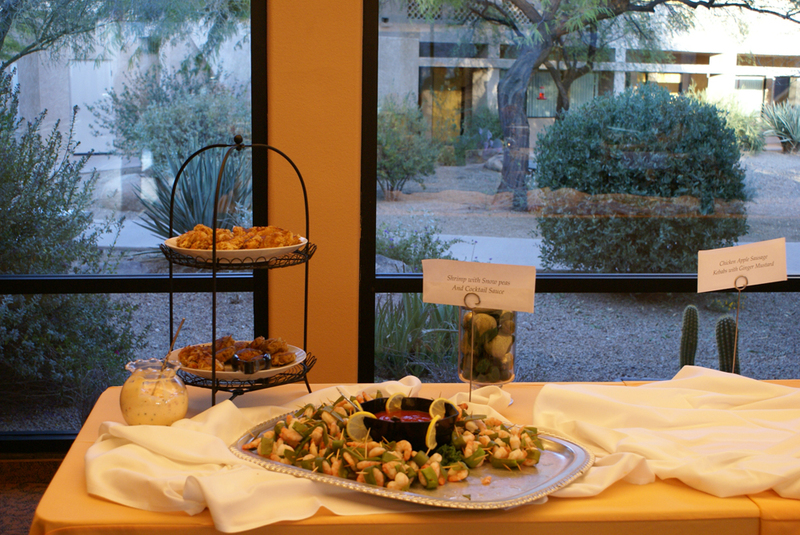 Buffet meals can be tailored to group and individual preferences by our professional chef. 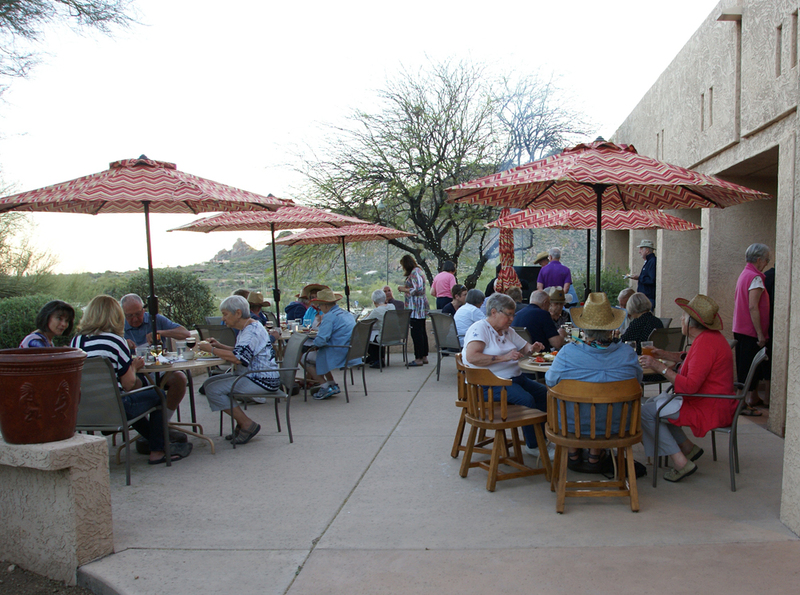 Indoor and patio seating provide spectacular mountain views. 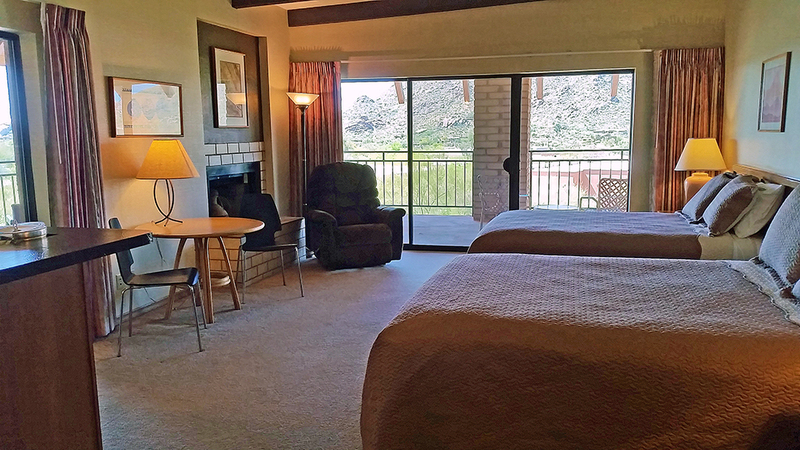 Seven conference rooms and numerous common spaces offer a wide variety of options for your Retreat. 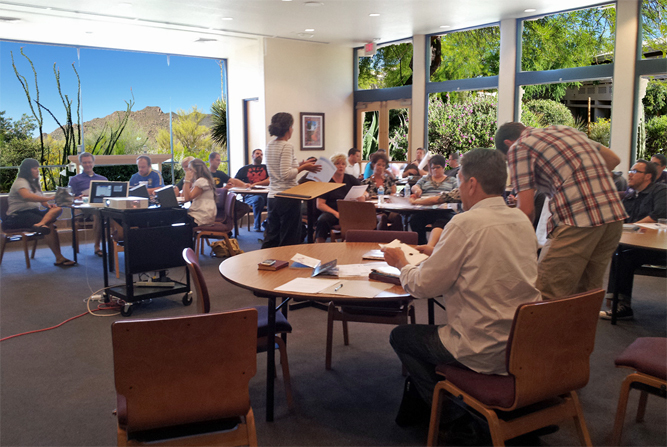 Seating is flexible in all the rooms and white boards, flip charts, and an LCD projector are available. 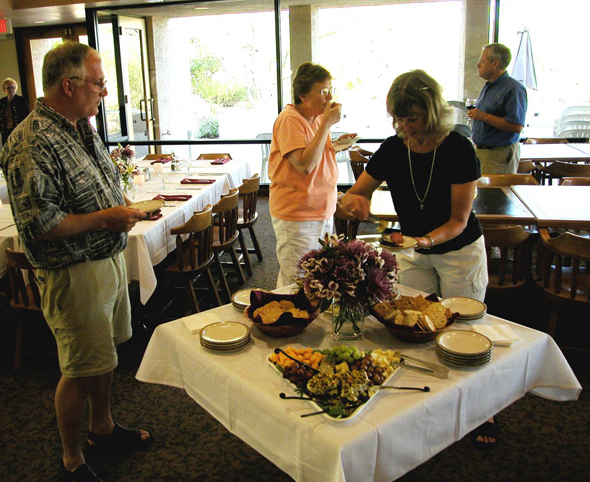 Sound and video enhancements have made Ravenscroft Chapel a state of the art facility. 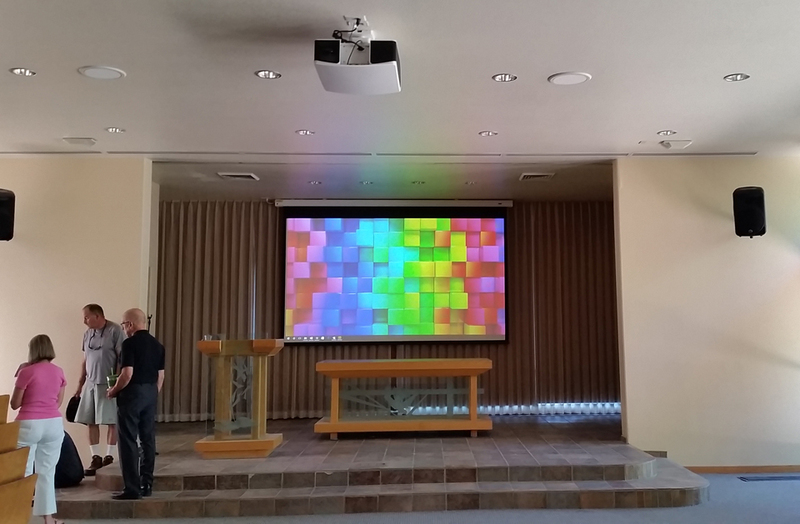 New in 2016 is a 7000 lumen ceiling mounted projector, two 1000 watt speakers, and a 6.5 x 11.5ft motor driven screen.